Within any organisation, employees will have questions and queries surrounding several areas and topics. 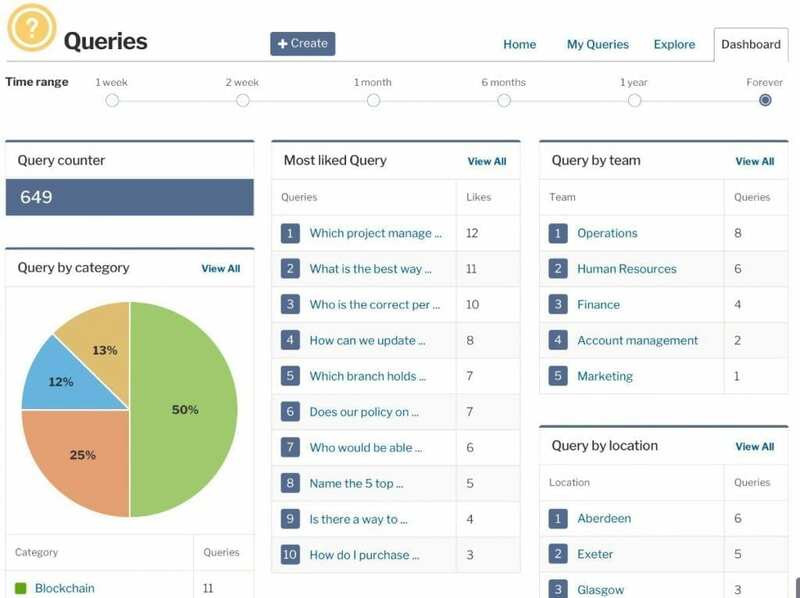 We wanted to give users a dedicated space on their intranet or portal, to raise these questions, hence the evolution of Invotra Queries. 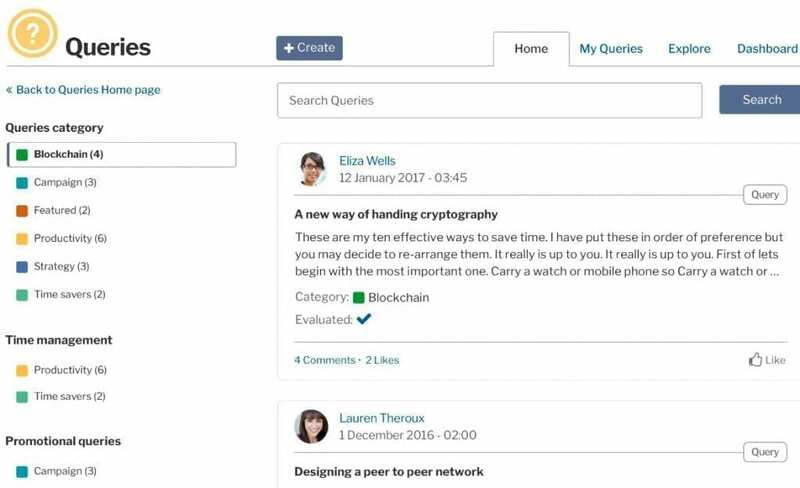 The queries application enables users to make the most of their organisational database of information by giving them a platform to ask questions for other users to submit answers to. All users are able to do specific query searches, view the analytics dashboard and have access to a page that tracks a user’s own queries. When a query is submitted, it goes to a Queries Administrator who reviews it, choosing whether or not to publish the query, which then becomes open for all users to view and respond to. Users are able to like, comment and @mention other users on queries. Users are able to categorise their queries. Queries Administrators can assign a query to another user. This application on its own is great for showing you what your users are interested in and what they want to know. However, as with all of our applications, Invotra Queries comes with a built in dashboard that allows you to gain metrics such as ‘most liked query’ that provide you with an even better understanding of your users and their interaction with the application.